This series depicts the world through a three-year-old cat named Mittens. To the common person, Mittens’ actions seem peculiar and idiotic, but actually, his actions are instinctual and for survival in the great outdoors. 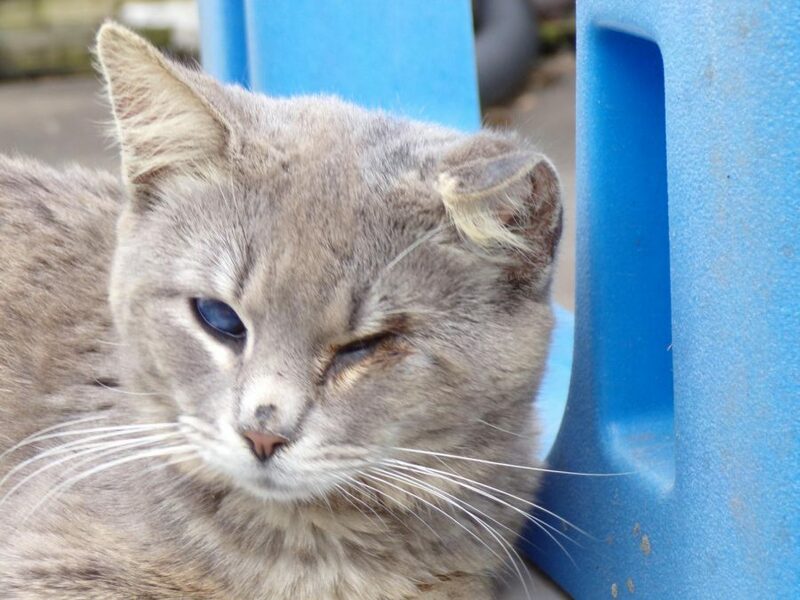 Mittens is not like other cats, he is blind. Just because he’s ailed, doesn’t mean he’s a lost cause. He was the smallest of three kittens and one of two with a bad infection in their eyes. My family gave Mittens a month to live, unfortunately, his brothers died of other complications but Mittens fought through his illnesses and became a big strong boy who loves his humans. Mittens isn’t necessarily fully blind, he can see shadows and other ways light bounces of objects. It’s how he traverses his surroundings.